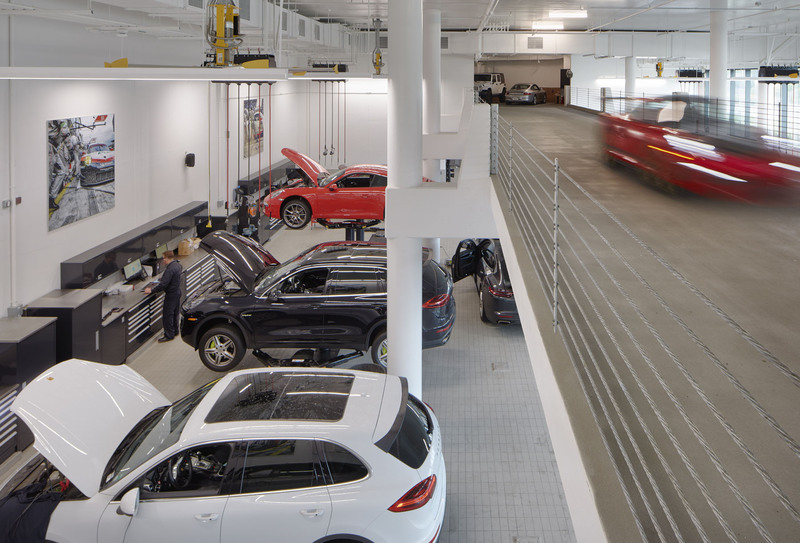 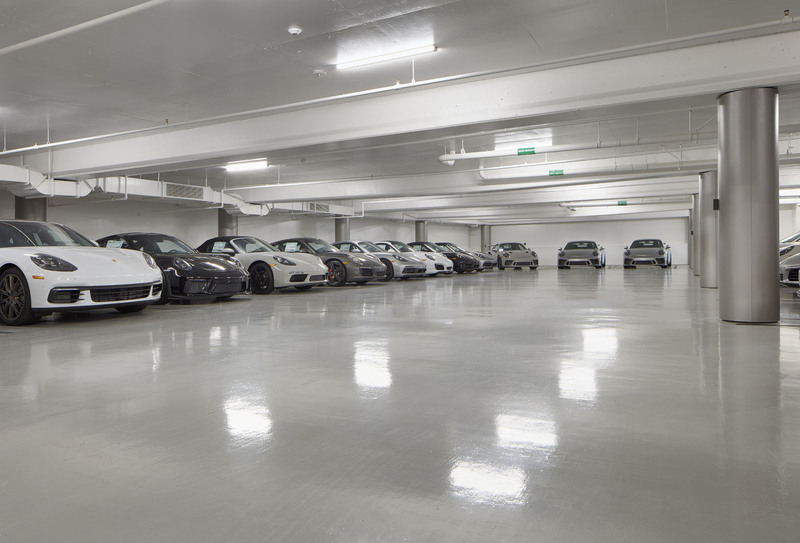 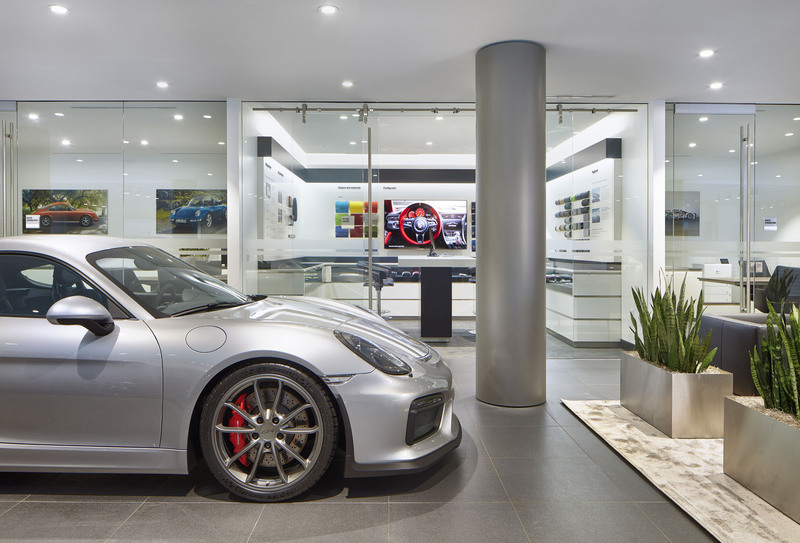 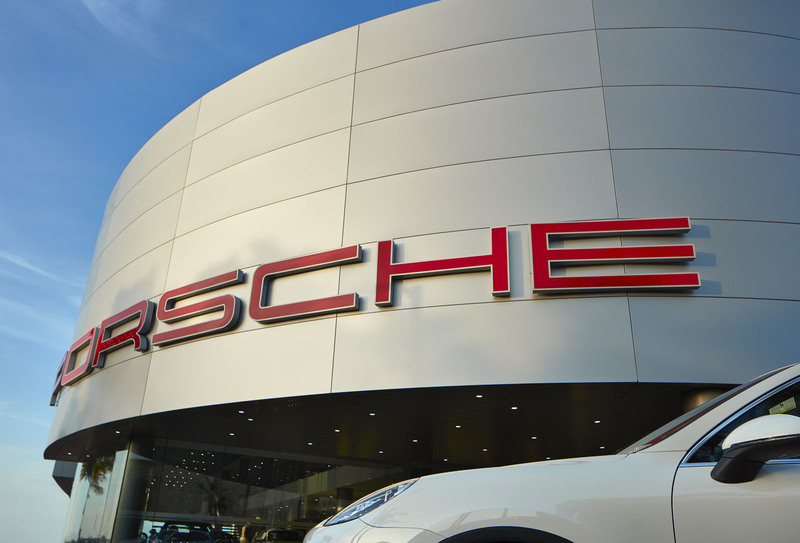 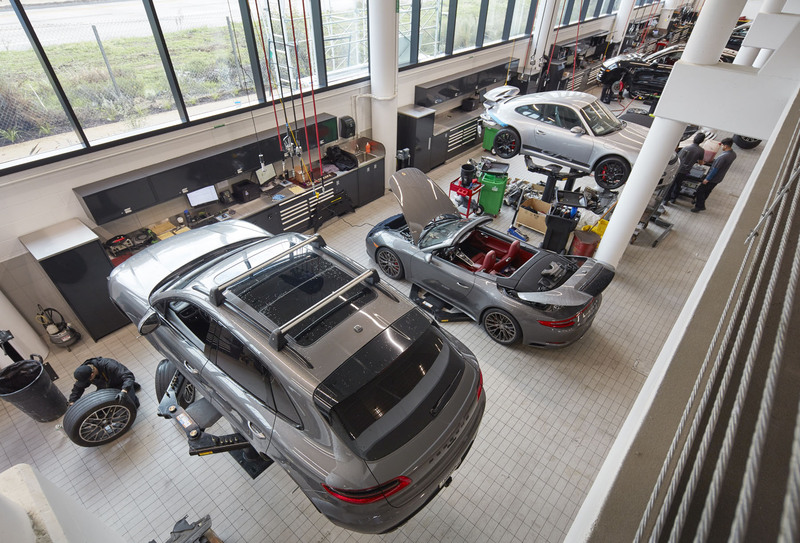 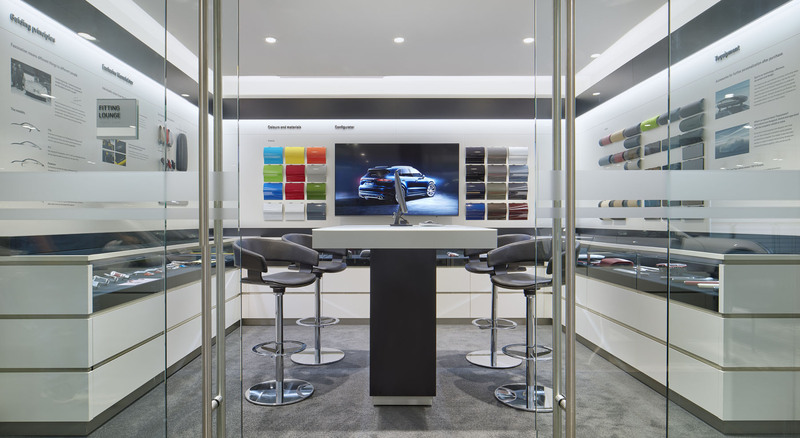 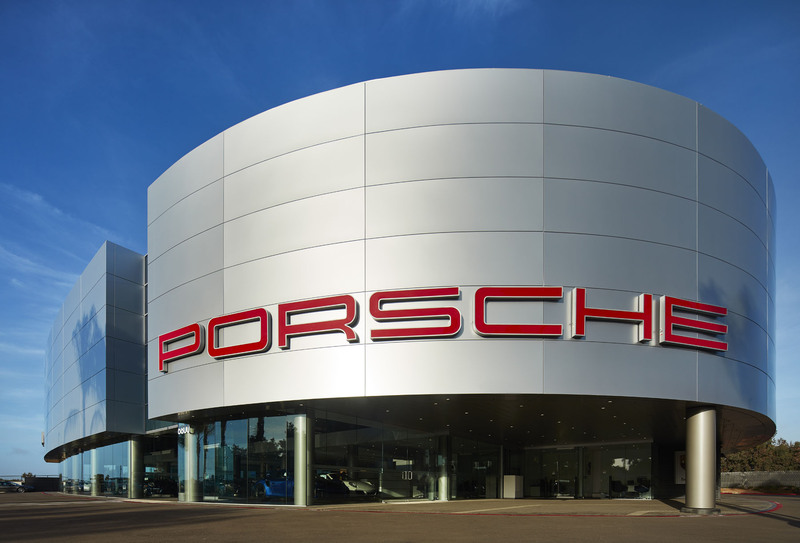 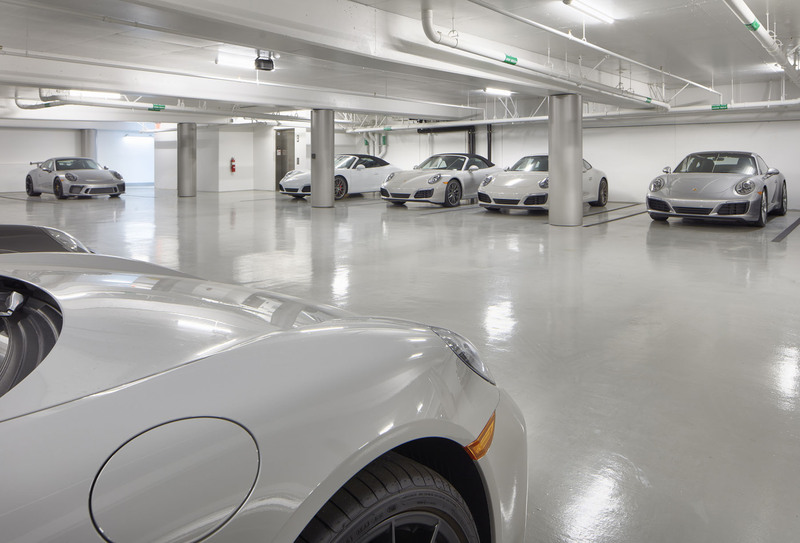 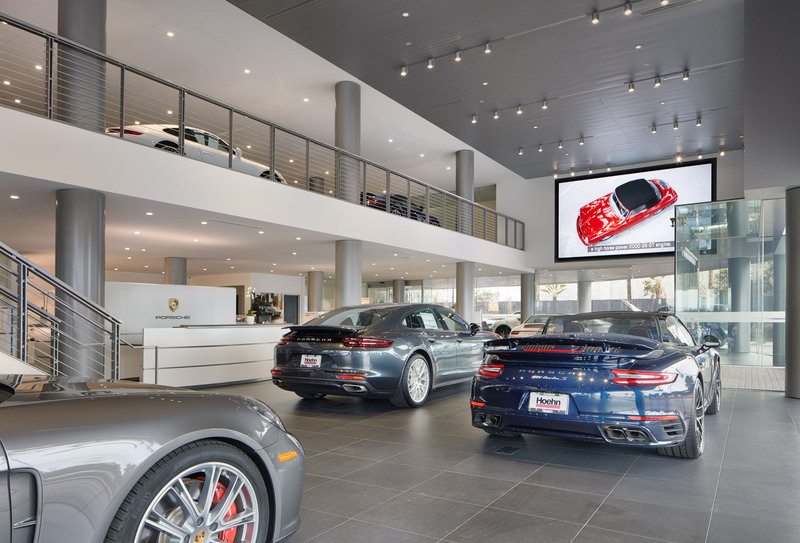 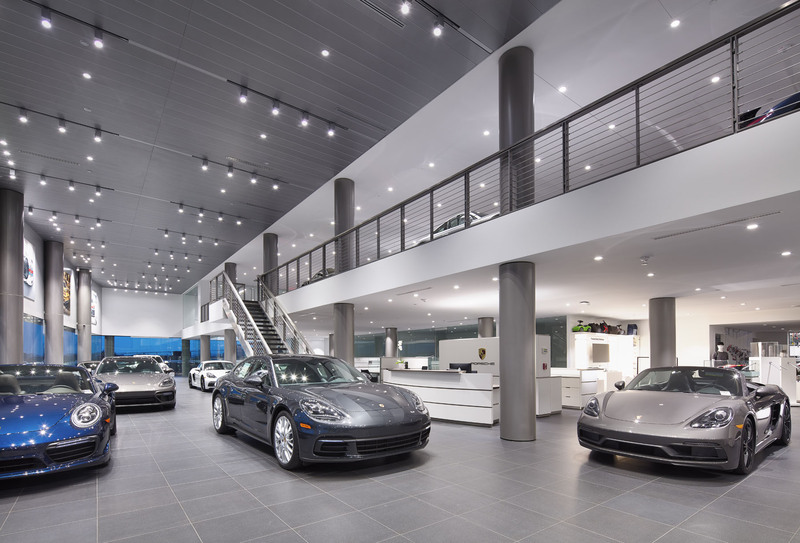 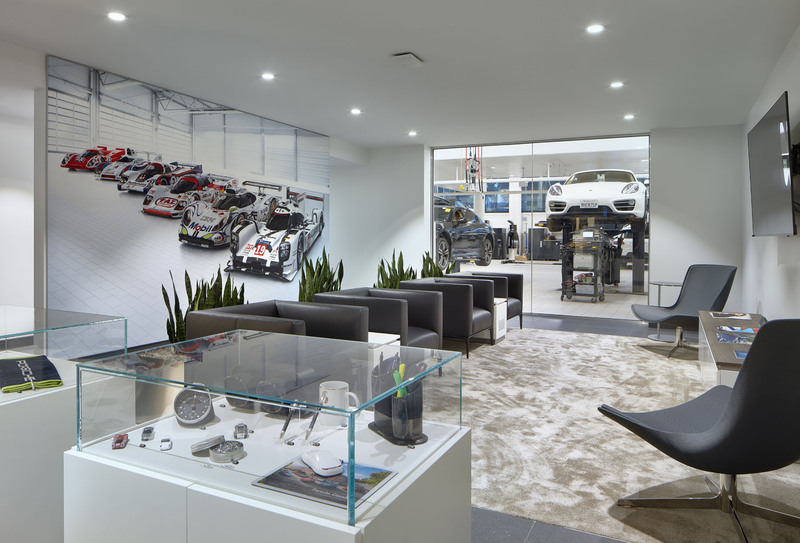 The Hoehn Porsche project consists of the construction of a new state-of-the-art Porsche sales and service facility located in Carlsbad. 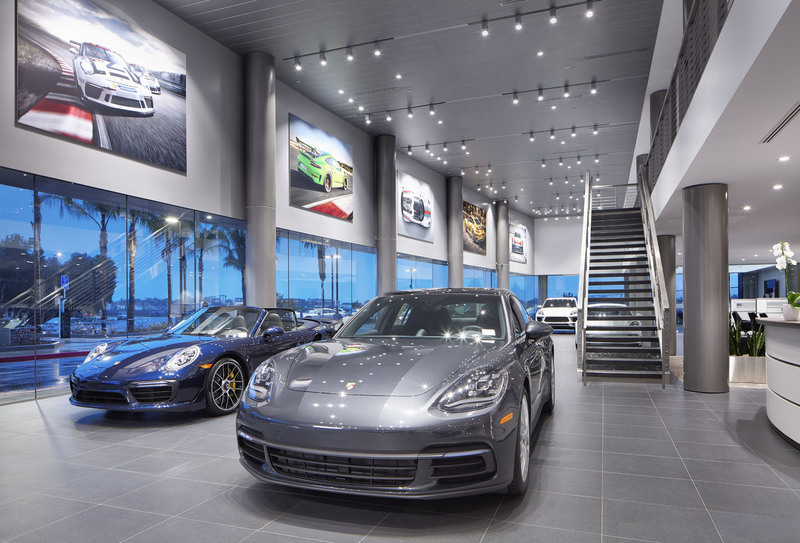 The project consists of the complete demolition of the existing 18,800 Square Foot Porsche dealership and construction of the new facility. 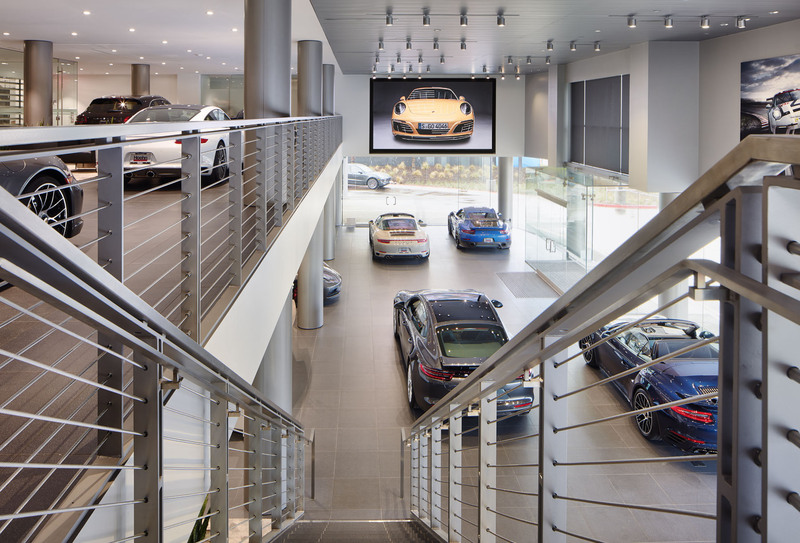 Improvements delivered a 3-story, 71,614 Square Foot, dealership facility with 2 levels of showroom and service areas and 1 level of parking above. 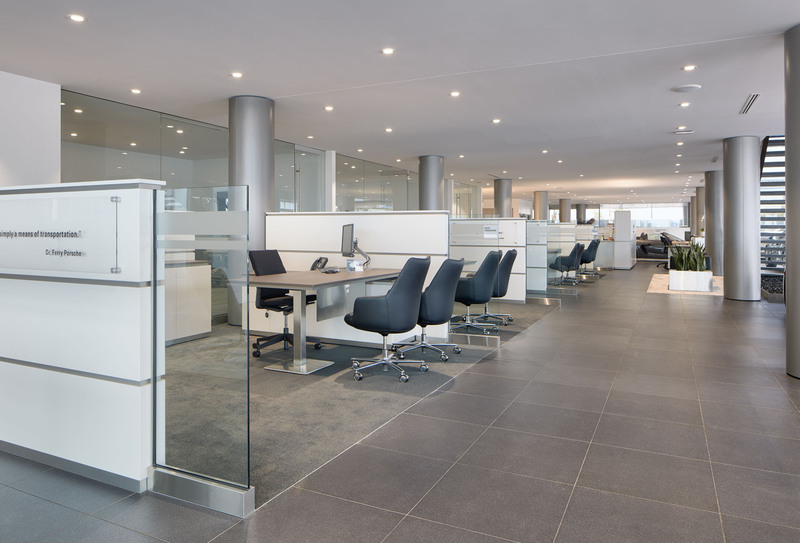 The 1st floor contains a showroom, sales offices and administrative offices. 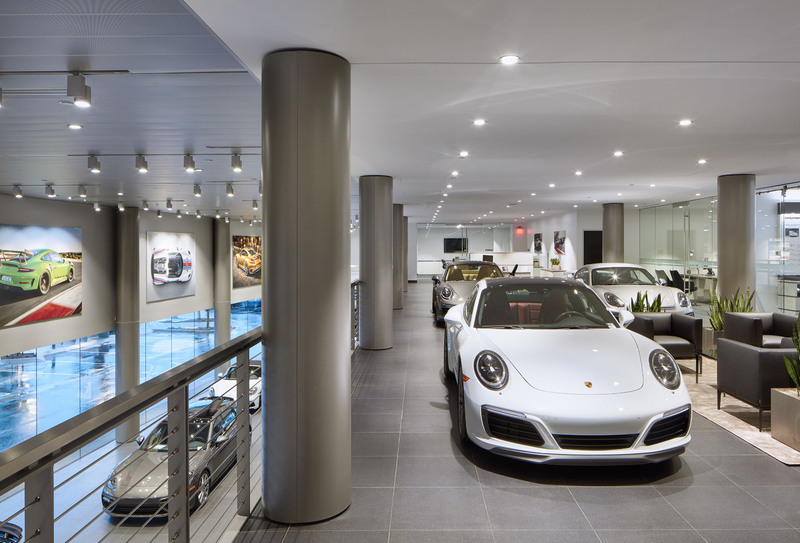 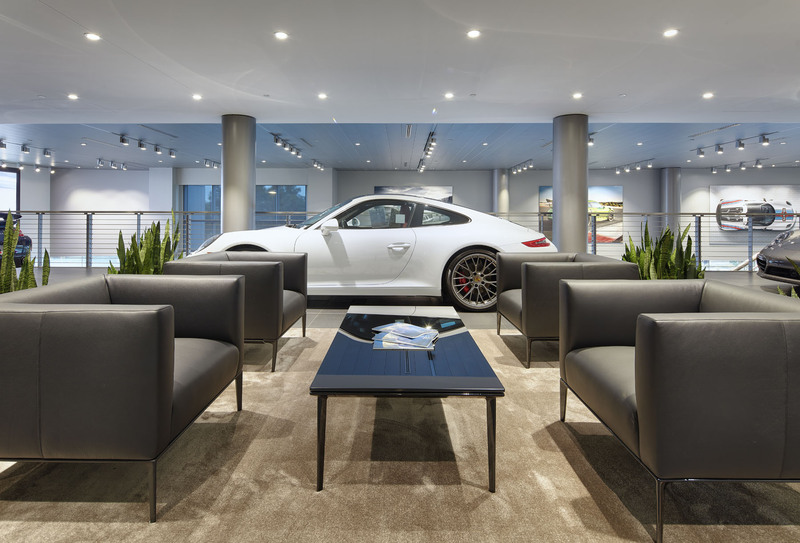 The 2nd floor contains an “exclusive” showroom, sales offices and vehicle service area, and the 3rd floor and rooftop deck provide vehicle parking. 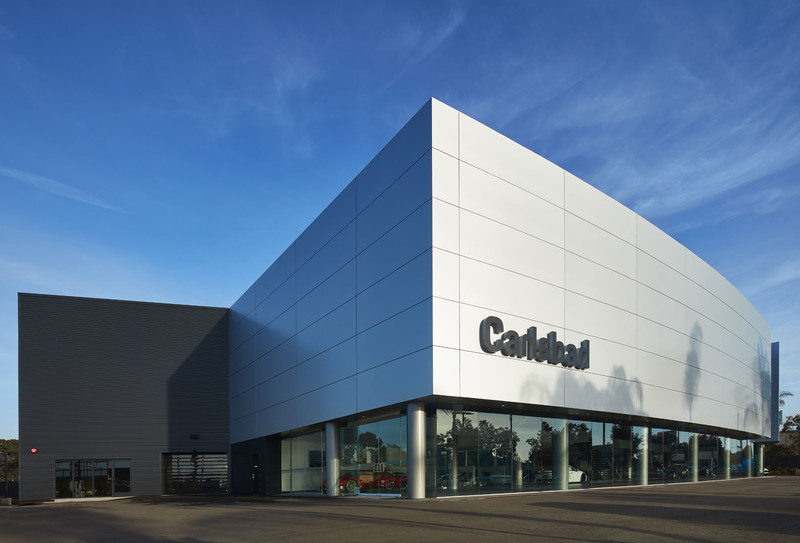 The building was constructed of poured-in-place concrete (Type II-A) and CMU complimented by a large curtainwall with large format stone veneer, ACM panels and perforated metal paneling.